Sea Trial hours only on the new engines. New carpets, fans and LED lighting throughout. EPIRB requires a new battery. This Admiral 38 Executive was sailed out of Capetown in 2003 on a transatlantic voyage by her previous owners, who, at the time had no sailing experience, but they just kept on going, until eventually arriving many years later, in Langkawi. Unfortunately the time had come to swallow the anchor, and this beamy and stable catamaran was purchased by her current and second owner in March 2018. Much upgrading and maintenance has been done, including fitting new Yanmar engines, sail drives and props. She has had a new Chart Plotter, Radar, AGM Batteries, Solar Panels, Inverter and Coppercoat antifouling, her hull has been polished, all tanks emptied and cleaned and has been partially rewired . However another opportunity has arisen and the owner would like to sell this very nice cat to take advantage. She is currently on a swinging mooring that could be included in the price if required. 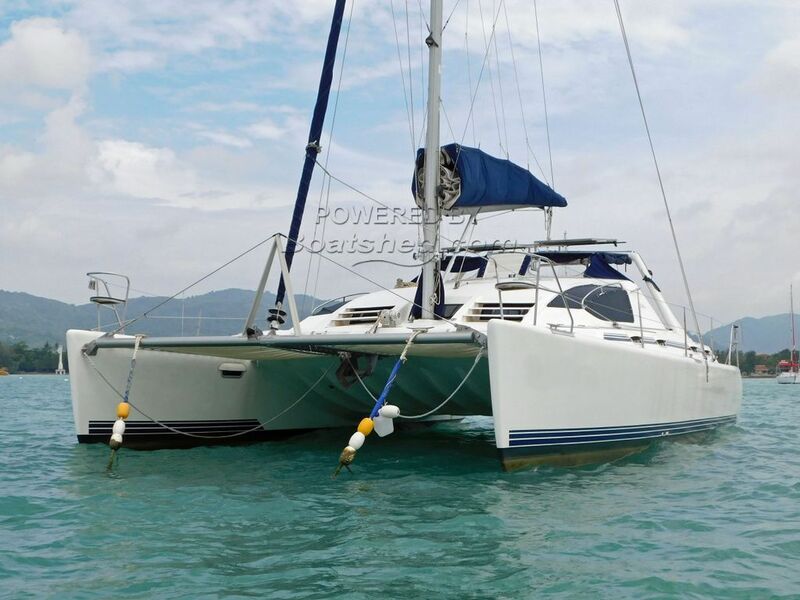 This Admiral 38 Executive Catamaran has been personally photographed and viewed by Alan of Boatshed Phuket. Click here for contact details.